Bioenergy is an expert extension to VedaPulseTM Professional. It can be used by a wide range of specialists who practice Oriental medicine. 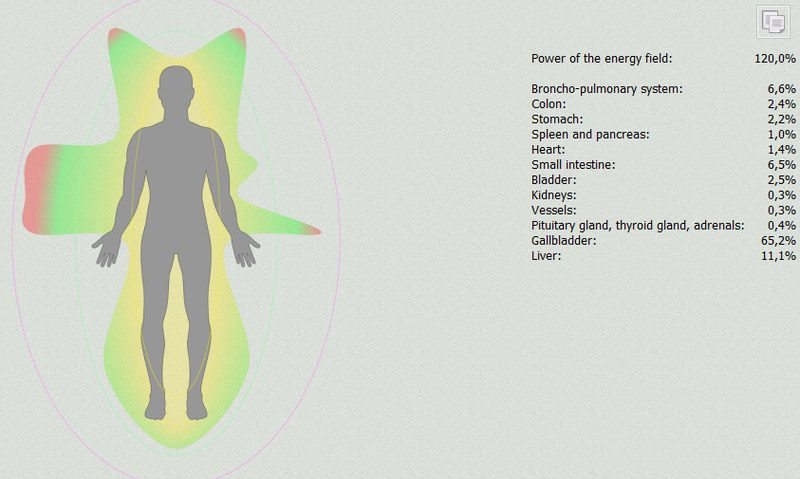 It includes two main tabs: Chakras and Energy field. ​Why do we need Charkas analysis? Use of a combination of different methods helps to assess the patient state more objectively. You shouldn’t get stuck on just one of them. We designed an expert extension that allows performing chakras’ analysis to obtain a full picture as much as possible. It allows to quickly and more accurately assess the state of each chakra by defining what happens to the body energy. Diagnostics of chakras with our expert extension allows to easily determine what is going on with their energy: whether it is normal level, lack or excess of energy that can result in tension.